IFTN caught up with Irish director George Kane to find out more about his two upcoming television projects. Kane’s first project, ‘Flack’, is a brand new drama series starring Academy Award winner Anna Paquin, which is set to debut on W Channel in the UK and Pop in the US on Feb 21st. 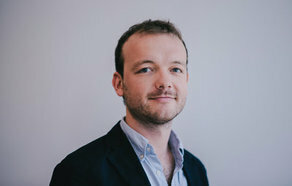 Written by Oli Lansley and directed by Peter Cattaneo (‘The Full Monty’, ‘Rev’) and George Kane (‘Crashing’, ‘Timewasters’) , the darkly comic series centres on an American PR executive living in London (Paquin) who must figure out how to make the best of bad situations and somehow manage to get out unscathed in a world where problems can go viral in an instant. Hat Trick and Paquin's company CASM are co-producers of the 6-part series, which features Irish DoP Ruairi O'Brien and stars Irish actress Amy Huberman (‘Finding Joy’), Academy Award nominee Sophie Okonedo (‘Hotel Rwanda’), Genevieve Angelson (‘Good Girls Revolt’), Lydia Wilson (‘Requiem’), Arinze Kene (‘Been So Long’) and Bradley Whitford (‘The West Wing’). "It's a testament to Oli's smart, sharp, provocative & twisted scripts that such a seriously powerful cast was attracted to the project. As a director, it was a dream set-up to step into and, as funny as the scripts are, they manage to go to some seriously dark & dramatic places. Tonally, it was a fantastic challenge - the Anna/Bradley bottle episode is, I think, particularly ballsy. The ensemble is outstanding, the crew did stellar work and we can't wait for people to see it." Also set to air in the coming weeks is George Kane's second series of BAFTA-nominated sitcom ‘Timewasters’, which hits ITV2 on March 11th. Written, created by and starring Daniel Lawrence Taylor, the Big Talk series also stars Kadiff Kirwan (‘Chewing Gum’, ‘Black Mirror’), Samson Kayo (‘Famalam’), Adelayo Adedayo (‘Some Girls’) and Anna Chancellor (‘The Hour’, ‘Four Weddings & A Funeral’). This time around, the time-travelling jazz quartet hit 1950s London and its world of Windrush, teddy boys Cold War paranoia. "We had a ball making the first series and were so delighted at how it was received. As usual, the period setting brought its challenges but it was so much fun to reunite that cast & hit the streets of Liverpool together once again. There are some fantastic guest appearances and Anna Chancellor is a joy in her role. There are not many sitcoms that can cram jazz, time-travel, the KGB and race riots into a snappy 22 minutes..."
Kane is currently in pre-production on Fastnet Films' comedy feature ‘Send in the Clowns’, which tells the story of a misfit group of children's entertainers and an ambitious journalist on a misguided humanitarian trip to West Africa. Written by Damian Fox, Shane O'Brien and James Walmsley, the Screen Ireland supported film is set to enter production later this year.